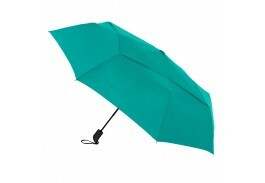 Fed up with umbrellas twisting and turning inside out, blowing away and breaking? 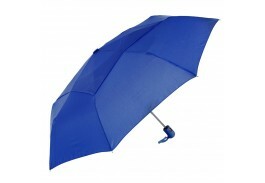 Try a selection from our robust line of custom vented umbrellas. 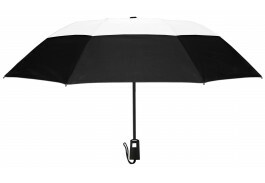 The vented design of these innovative promotional umbrellas is the best way to prevent umbrellas from turning inside out, and the added sturdy construction protects you from harsh weather like heavy rain and gusting winds. 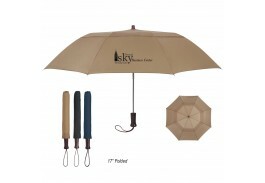 Available in several designs and sizes, a customized vented umbrella will look great with your company or event logo, and make a wonderful promotional tool year-round as customer appreciation gifts, tradeshow giveaways, and event raffles. 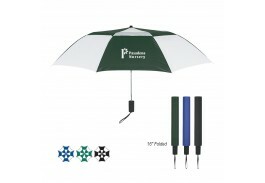 Personalized vented umbrellas will leave a lasting impression on clients and everyone who sees your logo running around town. 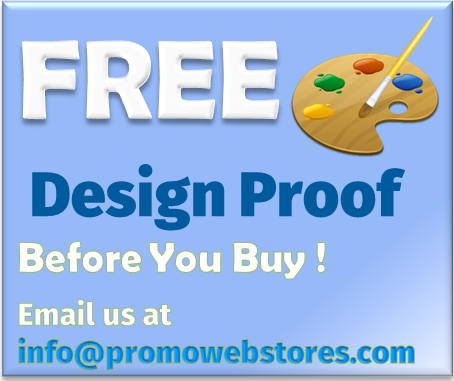 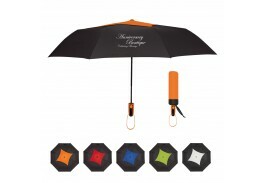 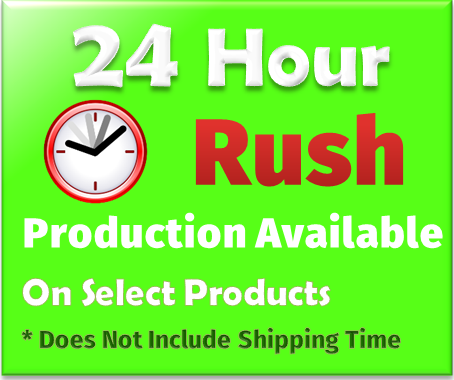 Starting around $7.50, promotional vented umbrellas are an affordable way to provide customers and employees with a useful and appreciable gift that will garner your business attention everywhere it is used. 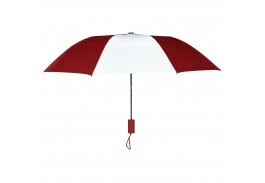 Choose a color or design that complements or enhances your corporate colors so you stand out among the throngs of plain umbrellas. 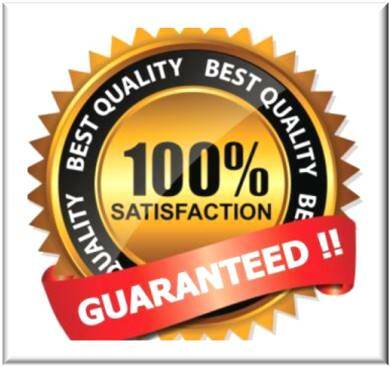 Others will take notice of your business, as well as your thoughtfulness and generosity towards clients and employees.